Please note that this special offer was a time-limited deal from April of 2010. We no longer have this book at this bargain price. It is still a wonderful read, though, and very highly recommended. Thanks. I often get a bit jittery during this season, nervous that it isn’t meaningful enough, or that I am not taking adequate time to be intentional about spiritual practices and self-reflection. I know, I know, I’m too busy (and, I know, I know, that God’s grace is bigger than our own little habits, wise and faithful or not.) Still, I want to witness to the world, and to myself and my family, that this week is called Holy for a reason. This stuff matters. Here is a link to a poetic reflection by my friend Brian Walsh, a Pastoral Letter to his “Wine Before Breakfast” college fellowship in Toronto, which was posted at the Empire Remixed community blog. Maybe it will help you prepare for the Tridiuum, this trio of holy days that is upon us. If you care to, you might scroll back to the BookNotes blog posts from a year ago where I highlight several different sorts of books about the atonement, the meaning of the cross, and justification. Important stuff, and I think we offered a fairly healthy and diverse selection. A few said it was inspiring just to read about them, even thought they didn’t buy the books. Hope it helps. Still, the big question that looms before me is so what? That is, how does Easter really make a difference? Of course, I cannot presume to answer that—there have been 2000 years of sermons and examples of people doing just that, for better or sometimes worse. But we do offer books and resources to befriend you on the journey, authors who have written well to help us think, to prod us on, the remind us of the deepest truths and to teach us some new ones. As a business person who is at heart an educator, I can’t not share some resources with you now, this weekend, at this critical junction. What comes next? We are nearly holding our breath. Well, here are a couple of fine resources to order now, and read soon, while this passion drama is still fresh in our minds. This is a very thoughtful, well-written, gutsy, fairly brief hardback that I have read more than once. It makes a great several week reflection, or a Sunday school class or book group, as it is so, well, orderly. It examines the post-resurrection narratives, and the comments on them by Paul, and draws from them insights about how to live out of this glorious Resurrection truth. How do we encounter, witness to, and serve the Risen Christ in everyday life? As he describes it, there is resurrection wonder, resurrection friends, and resurrection meals. One person once took me to task for saying that Eugene’s writing is “earthy.” I suppose she thought I meant “earthly” which is to say, in her mind, “worldly.” No, not at all. Peterson is a Kingdom of God man, a Bible-loving pastor who wants to slowly and carefully nurture in us a God-drenched imagination, a Kingdom way, truly a way shaped by Jesus and His victory over death, but, yet, always, “down to Earth”, creaturely, human and humane, real. Yes, he is earthy, just like these post-resurrection stories of fish and friends. If you like Peterson’s magnum opus five volume spiritual theology set, you will love this, as it is quite similar, yet is brief and easy to read. It’s a great way to introduce a friend to this important contemporary writer. It is a great way to see how Bible texts can teach us, and how we can enact them in church ritual and how those practices can shape our living—Easter all year long! We read well, listen to the stories, do church in appropriate ways shaped by these texts and these stories, and God shows up, changing us, and we walk out into a new world, to live differently. We really, really love this slim volume, and I was thrilled when a sales rep offered me a deal—a deal that allows us to sell it for just $5.00. Wow, you can’t even get a cheap mass market paperback for that! Depending on how you roll, your bill at the coffee shop will be more than the book. Folks, this is the bargain of the year. While supplies last. (Eerdmans) $24.00 I have to tell you that I have not started this yet. The fifth and final volume in his “conversations” of spiritual theology, is a cranky study of Ephesians, claiming that we must attend to maturity, character formation, and discipleship. I am working very, very slowly through this series; all are remarkable. This one looks great. As you may guess, I skim a lot of books, highlighting them for customers, knowing enough to describe them. These I am reading for my own nurture, books that I believe I will spend perhaps the rest of my life with. I am impressed, and I like Eugene, count him as a bit of a mentor and friend. So, sorry, I haven’t touched this yet. I’m just not ready for it. Maybe you understand, and have your own books that you must read first. Or maybe you are ready and eager. 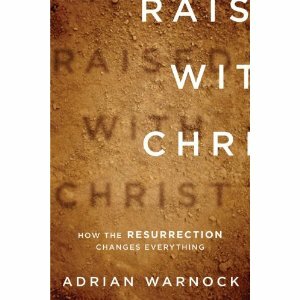 This could be the best book on living out the victories of the resurrection. Certainly the allusion to the famous Wendell Berry poem makes it quite special. Consider it recommended. The Challenge of Easter N.T. Wright (IVP) $6.00 Again, this is one I’ve discussed before, and think it would make a lovely bit of (serious) devotional reading next week. This is a brilliant excerpt from The Challenge of Jesus and is Wright at his semi-scholarly best. Why do we celebrate Easter? So what, you ask? Here, Wright looks at Easter in its earliest context, where a band of followers discovered the fulfillment of all the promises God had made to their people over the centuries. Could this announcement of and vindication of the announcement of a new genesis, and a new Kingdom come, based on the Risen, suffering Christ, really re-shape all of human history? Are we now living into this newness, this life-over-death newness? This little book really packs a wallop, perfect for a one-on-one discipleship conversation, a post-Easter gift for anyone wondering what it all means. Surprised by Hope DVD N.T. Wright (Zondervan) $24.99 I’ve blogged before about this spectacular book, which explores the resurrection, the promise of new creation, and, consequently, how to rethink the nature of death, heaven, the afterlife, and the missional vision of the church today. Here, N.T. Wright walks us through this book and more, in a zesty and appealing new DVD curriculum that would be a fabulous project for this season of Easter-tide. I’m showing it in the church I attend, and invite you to consider it, too. Christ rose. We will too, and the Scriptures say we reign with Him. The whole creation groans, awaiting liberation. What does that mean? This is an amazingly rich and well made DVD curriculum for personal home use or for a class or group. The Divine Conspiracy DVD Dallas Willard (Zondervan) $24.99 Years ago, when the book first came out Beth & I had the great privilege of spending a bit of informal time with Dallas Willard, an incredible thinker, a solid spiritual guide, and a heck of a nice fellow. He told us a story about how this title came to him when the publisher insisted on something other than his first, more prosaic proposal—God seemed to give him this title as a way to allusively name the Kingdom of God without off-putting rhetoric. And, also, how awkward it was when Richard Foster in the forward named it as one of the most important books in all of church history, to go down with the spiritual classics of all time. And coming from Foster, that is something, indeed. Well, here we have the studious Dr. Willard being delightfully interviewed by the great communicator and all around media-friendly dude, John Ortberg. Ortberg’s jokingly calls his own wonderful book The Life You Always Wanted “Dallas for Dummies” and he now gets to work with him, bringing deep Kingdom principles of formation and Christ-likeness to us in wise and useful ways. If Christ indeed rose from the dead, and He now lives in us, what in the world does that turn us into? How are we changed by his indwelling, by His resurrection power in our lives? Transformation, here we come! Six weeks of Dallas for dummies, indeed. Absolutely excellent. 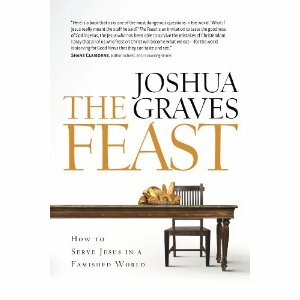 The Feast: How to Serve Jesus in a Famished World Joshua Graves (Leafwood Publications) $14.99 A seasoned pastor, friend and great customer told us this was one of his favorite books of the year, and as I’ve read through it, I keep thinking how it ought to be better known. This is radical stuff, meeting us in our places of deep hunger, and yet calling us to invite others to the table. With quotes from authors as diverse as Dorothy Day, Hans Kung, Lewis Smedes, Annie Dillard, Rowan William, Barbara Brown Taylor to Lee Camp, you can see this guy has an eye for good writing and mature, evangelical faith, with a bent towards radical discipleship in the nitty gritty of social ministry. Wonderfully written, challenging words, about taking Jesus seriously, and offering His bread of life to a needy world. Thank goodness for this lovely publisher, out of Abilene Texas.